Today’s homeowners bring their own expectations and ideas to the home remodeling and construction process. With the popularity of TV design shows and websites like Houzz and Pinterest, they have an unlimited source of inspiration. Even though homeowners may have a clear vision of how they expect a project to look, they may have trouble understanding how that vision translates through the entire building process. Whether renovating one room or the entire home, 3D rendering techniques provide a stronger, more precise visualization of the space. It also helps fine-tune measurements and catch potential problems before construction starts. Making the entire home remodeling process easier, smoother and more efficient. By allowing the users to view the interiors of buildings and plans of constructions, the homeowners can get a true interpretation of the construction along with all the details. 3D design tools help show, clearly and accurately, how different colors, designs, materials, and shapes will play out—or not—before any construction begins. 3D design renders clarity and precision to the process, eliminating ideas that won’t work as zeroing in on design options that will! Getting a clear, accurate model of what needs to be done is one of the most important steps. For years, home remodelers had to rely on 2D plans that had to use pages and pages with multiple models for each different view. This made mistakes in measuring far more common because it was hard to keep track of every detail sync on every page. 3D design tools merge all those layers into one accurate, clear view that brings home remodeling ideas together in one place and enables plan with greater precision. Taking the accuracy step even further, 3D design can help catch mistakes before they end up impeding the remodeling process. Time spent early on in the design stage helps to save both time and money during the construction phase. 3D renderings provide a clearer visualization of how the end design should look, making the entire process much smoother and more efficient by reducing unexpected changes and mistakes—something that also helps the project stay within budget and on schedule! 3D design greatly improves communication between the homeowner and designer. Reviewing the 3D models together, trying out different design ideas, discussing potential problems and coming up with even better ideas. One of the key benefits of this technology is that it enables the designers to edit architecture and make the necessary changes until the homeowner is satisfied. 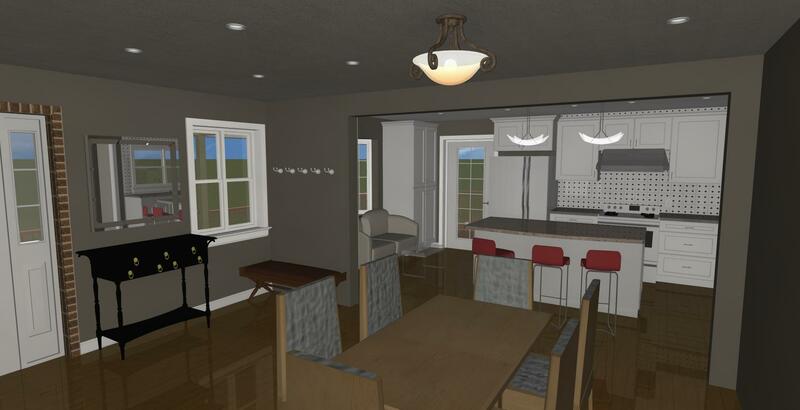 While 3D renderings are an absolute benefit in the home remodeling process, they’re still no substitute for working with an experienced designer who can provide the perspective and depth of understanding to interpret and visualize what the renderings mean. Combining the high-tech wonders of 3D design and a skilled design-build team will help bring your dreams to reality. Like what you see? 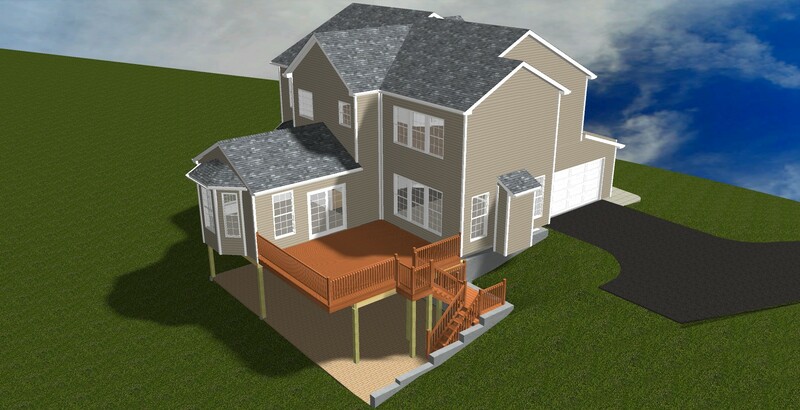 Do you think a 3D design could help you better understand and visualize your upcoming home remodeling project? Use the form below to reach out to us and someone from our office will get back to you as soon as possible! Please contact me to discuss my upcoming remodeling project!